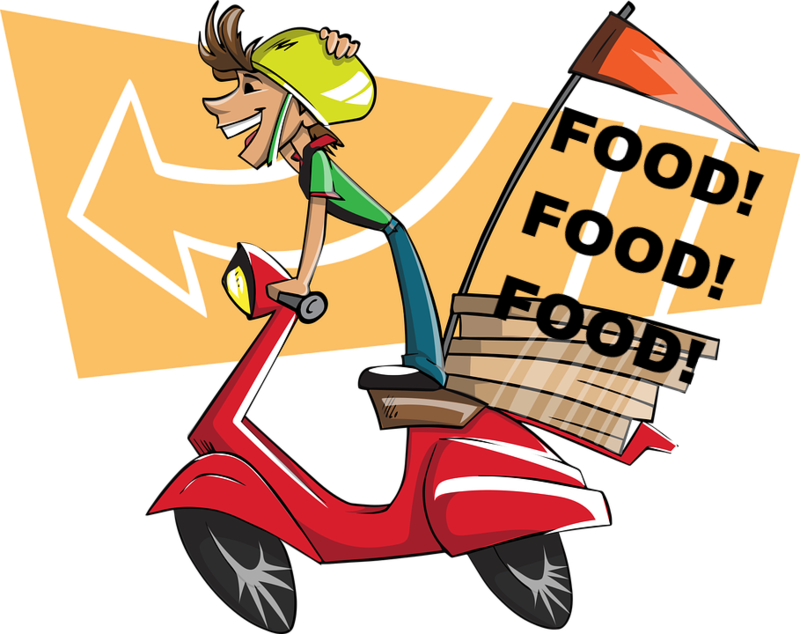 as I see it: Why I like Swiggy? To start with, I'd like to clarify that this isn't a sponsored post. I have never been asked by anyone from Swiggy to write this (or anyone altogether) and have not received any kind of favor/money/free meals, etc from anyone. I am writing this because I wanted to. How often have you seen people write about an app? Maybe not very often unless it is the concerned person's job, etc but here I write about what I believe is one of the most underrated, not often talked about and less used app - Swiggy. To be honest, I discovered Swiggy pretty late (thanks to a friend). I had heard of the name "Swiggy" and had been exposed to a few of their advertisements but they never compelled me to read more about it forget trying it out. In fact, for a good amount of time I thought it is a "pickup drop" utility app aka RoadRunnr, etc. It was only once while ordering food at a friend's place that I was told about this app and exposed to its interface. I loved it in the first glance. The only other times I felt as good and WOWed about an app was when I first switched from EasyCabs to Ola in 2011/2012 when I was in Hyderabad and then post that when I first used Uber. Swiggy works like a charm. It is neat, easy to use and frictionless. Add to it the estimated delivery times, ratings and one of my most loved features - real time tracking. And that's just the app. The food delivery almost always (barring 1 instance that I can remember) has delivered within the stipulated time. Delivery guys have mostly reached my location and rang the door bell without calling me for asking directions. And the icing on the cake is that I have never felt the need to contact their customer care (quickly checked my account and it shows my last 30 orders starting Apr 12, 2016 on the app and 37 orders starting Apr 1, 2016 on the web). It has been frictionless - as good as it can get. The 1+ year experience (assuming the account shows all the orders I've ever placed with Swiggy) has not just been on one particular address or city. I've ordered from Swiggy in Delhi, Gurgaon and Bombay (as far as I remember) and on 5-10 different addresses. The experience is uniform, just flawless, frictionless, brilliant. Foodpanda - I have never liked their interface. Food delivery timelines were as per restaurant's whims and fancies also I just dislike their interface. I don't remember the last time I ordered from them and have no idea if they've redesigned or improved their UI because of point 3. Also, to explicitly mention - the negative PR around Foodpanda sometime back did not affect my decision of using/not using the app in any way. Zomato - I have ordered from them only twice. It was the same dish from the same one restaurant which wasn't listed on Swiggy. I have tried to order from Zomato on couple of more occasions (to use Zomato credits present in my account since eternity) and have found coverage to be a problem. The restaurants that delivered to my address on Zomato were a subset of that on Swiggy. I discovered that when I chose a couple of restaurants to order from on Zomato on multiple occasions only to find they don't deliver to my address. I guess maybe in those cases the delivery staff was from restaurant's end and I was located outside their 1-2 km delivery distance as opposed to Swiggy who has their own delivery staff as far as I know. Also, since the main Zomato app's primary purpose is reviews and restaurant discovery, ordering food isn't the most natural flow on the app. Coverage and point 3 are the reasons why I haven't tried Zomato Order. Swiggy works well. User Interface, User Experience, consistency across geographies. I have found it to be flawless and hence don't feel the need to ditch it and try anything new for now. Have also tried TinyOwl briefly but don't remember much of it. Have tried UberEATS in Singapore and loved that as well (hope it comes to my location soon)! Have heard from a few restaurant/outlet owners on the high margin they ask for. While I think they're the best judge of what number makes sense to them, all I can tell them as a consumer is that I have discovered a lot many outlets only because of Swiggy. I have tried them only because I saw them on Swiggy. In case I know about an outlet already and can find the number where one can call and order, I still try to first check if its on Swiggy. I do that because it helps me with uniform experience across restaurants, I don't have to call and talk to the restaurant (I don't prefer that) and lastly and most importantly, I don't have to call and follow-up on status of delivery only to hear "Bas nikal gaya, kab ka nikal gaya pahuchne wala hoga, etc" - I have the app to track.